Less than 48 hours after Apple added new video content from Vevo, Weather Channel, Disney Channel, Disney XD and Smithsonian Channel to its $99 Apple TV set-top box, ESPN announced Wednesday it’s enabled access to two new channels – News and Deportes – on the Apple TV and iOS devices, through the WatchESPN software for the iPhone, iPod touch and iPad. This is important because ESPN is a global powerhouse. 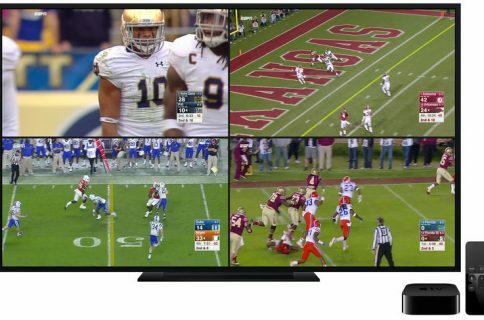 ESPN announced in a media release that its WatchESPN app will also serve content from ESPN, ESPN2, ESPNU, ESPN3, and ESPN Goal Line/Buzzer Beater. Note that ESPN streaming is available only to cable subscribers with Time Warner Cable, Bright House Networks, Verizon FiOS TV, Comcast Xfinity TV, Midcontinent Communications, Cablevision’s Optimum TV, Cox, Charter or AT&T U-verse. 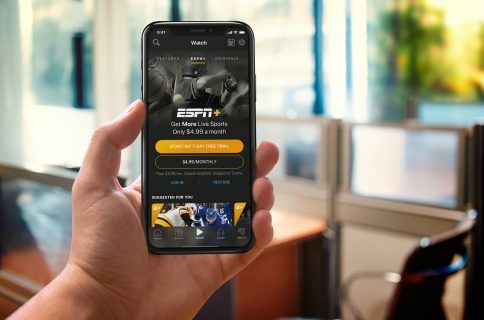 According to ESPN, streaming is “coming soon” to NRTC members’ customers. Additionally, ESPNNews and Deportes are coming soon to ESPN on Xbox Live to Gold members, the network said. ESPNNews offers live coverage of sports competitions and ESPN Deportes is for Spanish-language sports broadcasts. 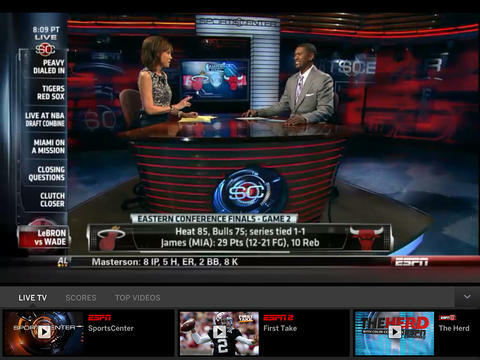 ESPN earlier this month improved its iPhone and iPad app (pictured below) by adding a Live Toolbar feature and the ability to watch two videos simultaneously. The app is available free of charge from the App Store. The 9MB download supports an iPhone, iPod or iPad running iOS 6.0 or later. 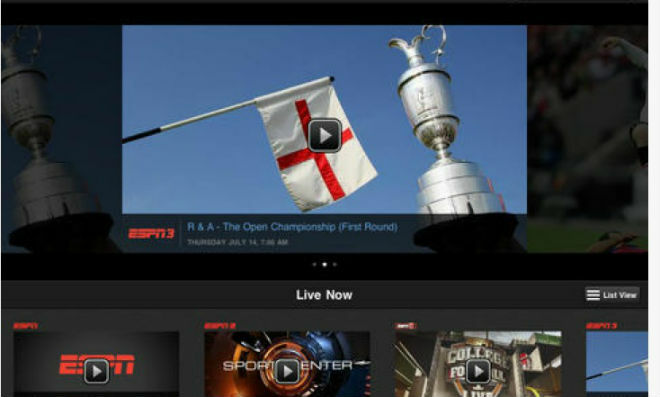 Apple enabled WatchESPN on the Apple TV back in june, along with subscription-based HBO GO streaming and free on-demand and live video from Sky News and Asian drama streaming services, Crunchyroll and Qello.